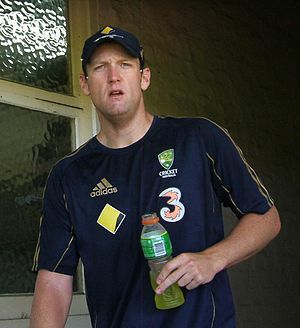 Cameron White has won his first toss as Australia’s Twenty20 captain and chose to bat at Adelaide. Aaron Finch, the Victoria batsman, will make his debut for Australia and Chris Woakes, the Warwickshire seamer, gets his first cap for England while Ian Bell returns for his first Twenty20 since 2008. Woakes, who replaced the injured Stuart Broad in the England squad, made his senior debut against the Prime Minister’s XI in Canberra on Monday and claimed 2 for 63 from nine overs. 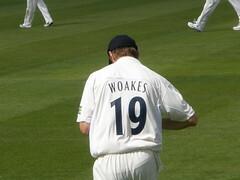 He has been preferred to Chris Tremlett with Michael Lumb, the specialist Twenty20 opener, is also on the sidelines. England captain Paul Collingwood has targeted an international Twenty20 record when his side meet Australia. The world champions can seal an eighth consecutive win in the format when they face Cameron White’s team in Adelaide on Wednesday, the first of two matches. “We’ve won seven on the trot and will set a new record if we make it eight,” said Collingwood. “It’s not easy to win that many on the trot in Twenty20.